Ed Miliband, the Leader of the Opposition, has proposed replacing the House of Lords with a regionally elected “Senate”. I have little doubt that some further reform of the United Kingdom’s upper house is called for, but why a “Senate”? 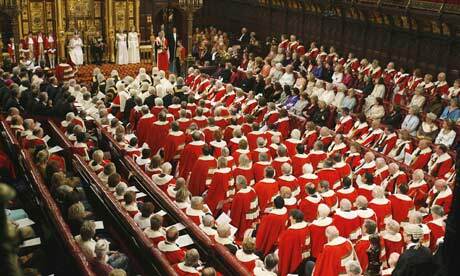 It is quite understandable that if there were to be a wholesale replacement of the current (mostly) appointed body with an elected one, especially when instigated by a party with Socialist roots, they might want to do away with the name and trappings of the House of Lords, which has evolved from an assembly of men who owed their membership to heredity, social position (and occasional largess of the monarch). 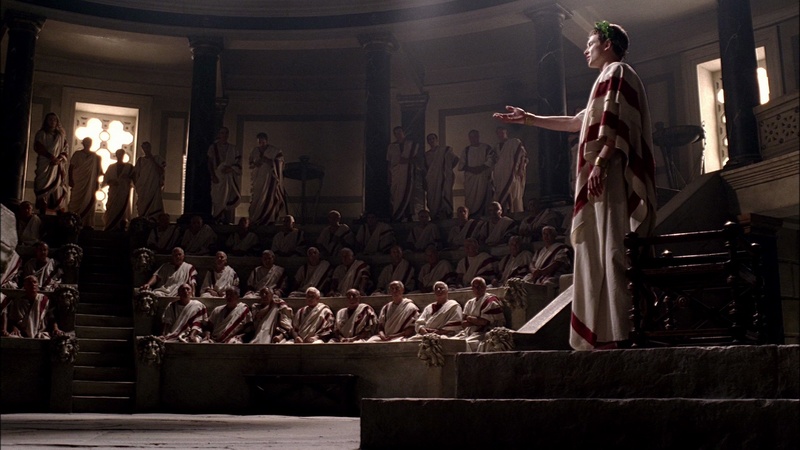 “Senate” harks back to the Roman Republic, which, before Caesar Augustus emasculated it and centralised power in an individual which would become the “Emperor”, operated a government made up largely of elected officials. Although sufferage was far from universal, even for men, and voting was skewed in favour of a ruling class it was government by the people. Of sorts. However, within this proto-democratic system of elected Consuls and Tribunes of the Plebs, the Senate was rather different. Membership was unelected, for life, subject to a huge property qualification and initially dependent on being a member of the “patrician” families (although this was somewhat relaxed later). It was subject to vetting by the “censors” from within the Senate, to ensure its exclusivity. The Republican Senate, then, bore a remarkable similarity to an unreformed House of Lords. This seems a singularly inapt precedent for a new, democratised upper house. Mr. Miliband, though, is not the first to struggle with House of Lords Reform and with what to call a second chamber, nor is this the first time “senate” has been bandied about as a name for a name for an English government body. Oliver Cromwell’s efforts at constitutional reform in the mid-17th Century were far more thorough than Mr. Miliband’s. Four years after the execution of Charles I and the establishment of an English Commonwealth, the “Rump Parliament” abolished the House of Lords altogether, making the reformed Commons nominally supreme -until of course, Cromwell belied that supremacy, finding the Commons too intractable and dissolved them as well. This also could not last and a new constitutional settlement know as the “Humble Petition and Advice” was passed, which called for a “second chamber” to be created, a chamber looking very much like the old House of Lords. However, most of the Lords refused to attend, many other nominees were certainly no peers (one was previously a cobbler) and the power behind Cromwell, the anti-aristocratic Army would not stand for it being called the Lords. So, for want of a better name, the new body became known as the “Other House”. Or as Macaulay would have it, Cromwell’s “new senate”. The constitutional agonies were not over. After Cromwell’s death his son, Richard, lacking his father’s ability and sway with the Army, faced demands from the Army for further constitutional reform. One of the Army’s key demands was, in addition to the Commons, a “Senate” be established- appointed by the Army. Events overtook them and with the 1660 Restoration, the Lords was re-established and pretended the interregnum had never happened. The 17th Century protagonists (and the ubiquitous Victorian constitutional commentator Macaulay) understood a “senate” in the Roman way, as a body appointed by some concept of the establishment, alongside an elected body and intended to act as a damper on its excesses. Macaulay, I suspect would tutted at Mr. Miliband. Of course, other governments of Anglophone countries which owe their political heritage to England, notably the USA and Australia, name their elected upper house the “Senate”. Both these countries are true Federal states, where each constituent State sends an equal number of senators, Wyoming being equal to California and Tazmania to Victoria, giving such disparity in individual voting power that they could perhaps be suggested to be appointed by their States and territories rather than truly elected. I will confess I am sketchy on both nation’s constitutions and I certainly am not going to challenge Thomas Jefferson’s classical learning or constitutional accumen. I suspect, though that the Labour proposal for a senate is actually aping the American Senate- although they would never admit it, whilst believing it paying homage to the Roman. A reformed upper house for the UK could take a number of different forms. It could continue to be an appointed body with limited powers. In this case, “House of Lords” is every bit as apt as “Senate” and respects its British and English forebears. It could be a second elected chamber, or a hybrid elected-appointed one. In which case a “Senate” is every bit as inappropriate as “House of Lords”. In either case, the “Other House” is not a Senate.